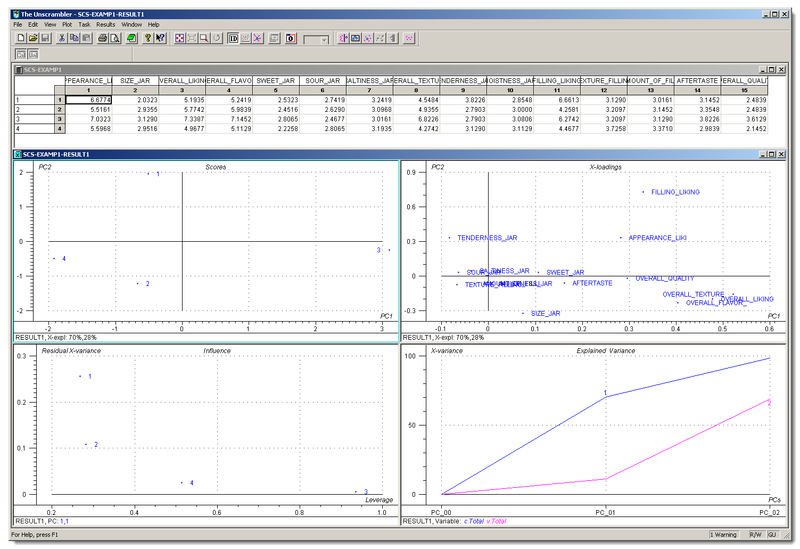 Use the New SIMS CAMO Unscrambler® DataLink to Export your SIMS Sensory Test Data directly into The Unscrambler® for many of your advanced statistical requirements, such as Multivariant and PCA Analysis. 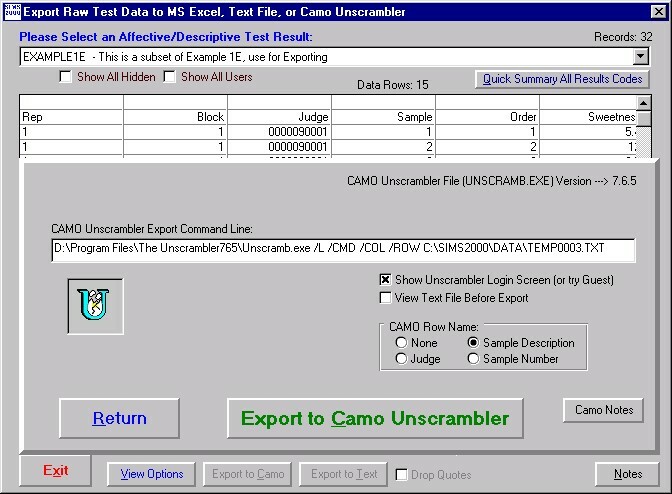 Contact Sensory Computer Systems for CAMO Unscrambler® price discounts. 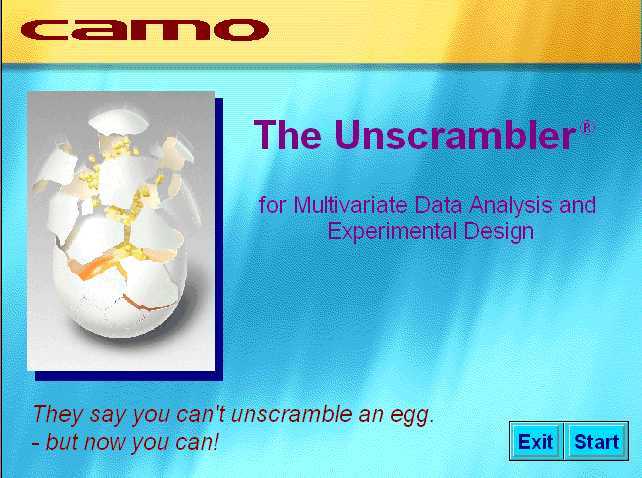 SIMS Exporting to Unscramber® requires Unscramber® Version 7.71 or Newer. 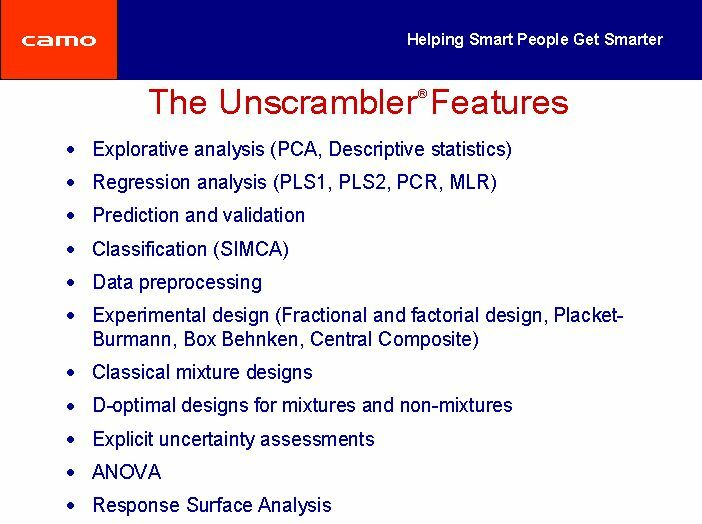 Older versions of The Unscramber® will simply ignore the import file. for Technical Support for using CAMO's The Unscrambler®. 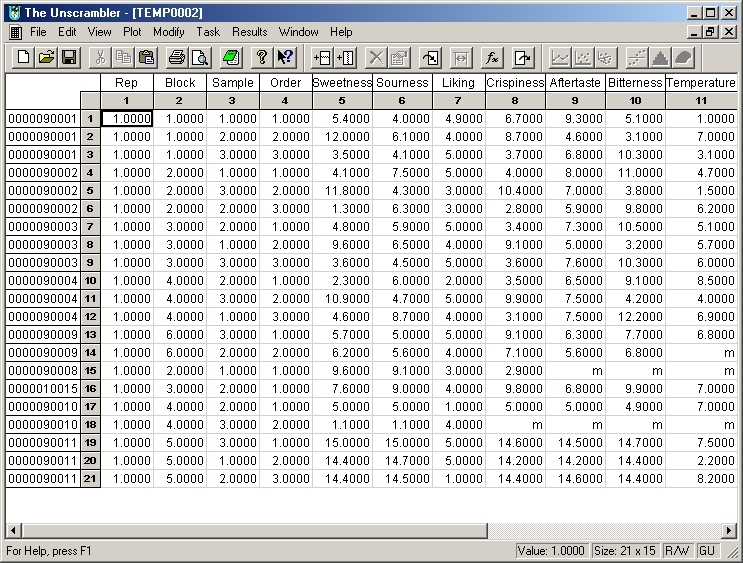 /ROW signifies that the first column in the data set is the row names. 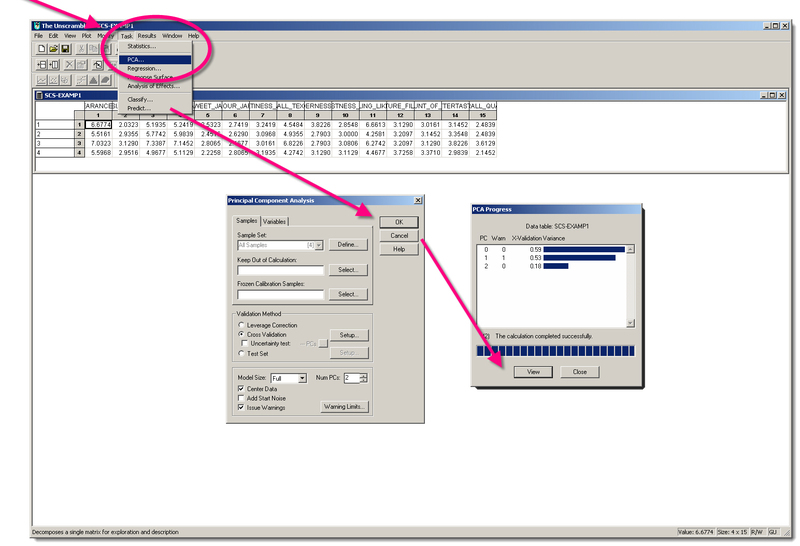 /COL signifies that the first row in the data set is the column names. login on networked or multiuser systems.